What Are My Trust Options For A Special Needs Child? - Crooks, Low & Connell, S.C.
What Are My Trust Options For A Special Needs Child? Parents of special needs children face a variety of overwhelming and confusing decisions when trying to help their child navigate the complexities of normal life. They are often forced into positions as advocates, fighting for the rights of their children for adequate educational opportunities, work experiences, and the physical and emotional support that they need. One issue that parents must grapple with, which can be particularly intimidating, is how to ensure the ongoing support and comfort of their child after they are long gone. To alleviate these types of worries, and protect the needs of individuals with mental and physical challenges, there are special needs trusts available that can assist parents in financially supporting their children long after their departure. Trusts are a very common mechanism for holding money and assets for a specific purpose. Trusts can be created to pay for education, cover the costs of a wedding, or provide support for nursing home expenses down the road. Very simply stated: creating a trust requires the drafting of a trust instrument that states the purposes of the trust and how they are to be managed, and the appointment of a trustee. Special needs trusts are a particular type of trust available to help individuals with special needs. Most special needs trusts are created in order to help preserve a disabled individual’s eligibility for certain medical and social services benefits. If money is given directly to the disabled person, his or her income will likely be so high as to result in the termination of benefits. By putting the money in a trust, the funds are not treated as income of the disabled person and public benefits are still an option. There are two types of special needs trusts that can be created, depending on where the funds for the trust are coming from. A third-party special needs trusts manages funds from an individual other than the disabled person, for the disabled person’s use. Self-settled special needs trusts are usually funded by money that a disabled person has received from another prior to the creation of the trust. For example, a disabled person may receive a significant inheritance from a grandparent that can be used to fund the trust, or receive proceeds from a lawsuit related to his or her disability. A disabled individual cannot set up a self-settled special needs trust on his or her own. Instead, a parent or legal guardian must setup the trust, or a court can do so. Additionally, self-settled trusts can only be created for disabled persons who are under 65 years of age. Like all trusts, the self-settled trust must have a trustee and this trustee must be distinct from the beneficiary of the trust. Under a self-settled trust arrangement, a disabled person can receive benefits from the government such as Medicaid. The self-settled trust is then used to supplement those benefits to provide the disabled person with any additional coverage or income they may need. When the disabled individual passes away, the Medicaid agency that provided medical benefits to the disabled person is entitled to be paid back through the remainder of the trust funds that still exist. For example, if Medicaid has paid $100,000 in benefits over the course of the disabled person’s lifetime, it may recover that $100,000 from the self-settled trust to the extent that such funds exist. By contrast, third party special needs trusts are created through a gift of funds to a disabled person from a third party. Often this third party will be a relative such as a parent, but technically anyone can set up a third party special needs trust on behalf of another. Unlike a self-settled special needs trust, a third party trust does not require the beneficiary to be under the age of 65. Additionally, there is no requirement that the trust assets that remain after the disabled persons death be used to pay back a Medicaid agency. For many this can make a third party trust a more appealing option. In many circumstances, the difference between a self-settled trust and a third-party trust is primarily who the funds are coming from. If parents choose to give money directly to a disabled child, that child and his or her guardians can later set up a self-settled trust with that money. Alternatively, the parents could simply use the same funds to set up a third-party trust directly. When dealing with a special needs child, it is imperative that you prepare for the support and security of your child in all types of situations. While parents or legal guardians are around to support the child through school and health emergencies, this may be relatively easy. However, should the unexpected arise, it is also important to know that your child will be taken care of in your absence. 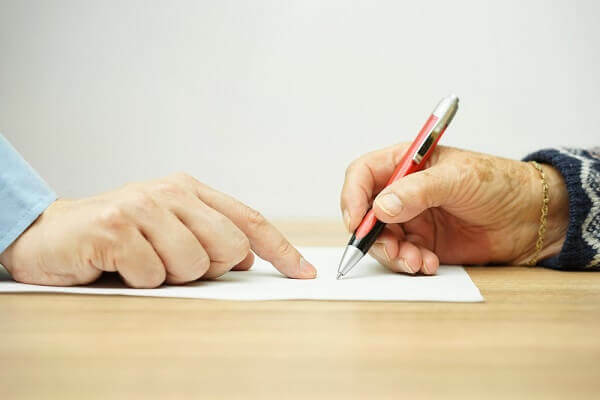 At Crooks, Low & Connell, P.C, our trusts and estates attorneys can help you evaluate the pros and cons of self-settled special needs trusts and third party special needs trusts in order to determine which option best meets your needs. For more information, or to schedule a consultation, contact our Wausau, WI offices online or at (715) 842-2291.